What does Marijuana Legalization mean for you? • Adults can grow 6 pot plants in their home or apartment – this is a huge new unregulated (black market) supply of marijuana. It will service those under 21. Growing pot smells poorly. That skunky-garlicky smell is probably no longer a skunk. • Pot can be advertised in all media – pay attention to internet advertising on sites and apps your kids use. • Pot can be promoted using any method – merchandise/swag giveaways, free subscriptions. Keep an eye out for these offerings and giveaways. Notify Program Directors of any sport or other kid activity if you see marijuana vendors or increasing marijuana imagery at events. • Mobile delivery must be allowed on our streets – current medical marijuana licensees are legally allowed to deliver to homes; it will be impossible to know if these licensees will restrict delivery to medical sales while they upgrade their license to include recreational use. • Smoking pot/consuming THC in your home – marijuana-infused foods are common in Colorado, both commercial and home-made versions are available. They are easy to make at home yet difficult to monitor potency. They are very bad for kids and developing brains (0-25) and are responsible for huge increases in poisonings and hospital visits. • Smoking in public – is not allowed however only carries a $100 fine. Few may be deterred by this low penalty, but you can legally ask for it to stop or be stopped. • Driving under the influence of marijuana – however the incidences of this will go up as they have in all other rec-legal states. Be careful. • Selling pot for recreational use to friends or customers without a specific recreational sales license – for which it will take approximately a year to set up procedures. That skunky-garlicky smell is probably no longer a skunk and will become more prevalent. Growing and burning marijuana smell similarly. • Start really watching your kids for signs of marijuana use. The legal age limit of 21 set by Prop 64 is meaningless, because of how much “off-premise” pot will be in our communities. One of California’s Prop 64’s central features is the unlicensed home grows, which became legal November 9th. This is a new black market supply from which many kids will be first exposed to marijuana and where most kids who use pot will get it. • Start getting over any ambivalence about pot. Stop thinking of pot as being the same as alcohol. Pot is an extremely potent drug today, and the younger kids start they risk a greater chance of addiction, loss of IQ and decline in neuroplasticity. We all need to learn more about potency (% THC) and the neurological impact of marijuana. If you have not smoked pot in 1-2 years, you don’t know anything about it. You cannot rely on your personal experience to direct you in this matter. Potency is the main goal of today’s market. Currently reaching THC levels in the mid-20%, commercial cultivators are shooting for the mid-30% and expect to achieve it in the next couple of years. 15 years ago, pot rarely contained more than 3% THC. Also, no edibles nor concentrates existed then; today they do and can contain upwards of 90% THC. • Must begin inquiring about home grows and edibles at any house your children (0-18) will visit without you. 1 in 6, or 17%, of all teens that try marijuana, will become addicted – their’s will be the brains that light-up with the first use of a cannabinoid. 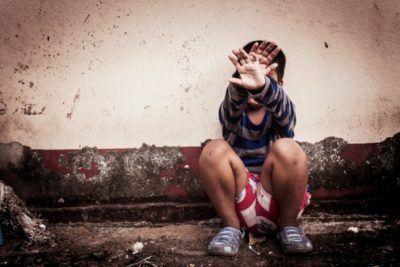 So sadly, allowing a child to enter a neighbor or friend’s house is now dangerous business. As uncomfortable and invasive as it might feel, you must determine if they will be exposed to marijuana. Between the potential of growing marijuana plants, possibly without the proper ventilation for greenhouse gases, fertilizers and insecticides housed inside and possible edibles on premise, you cannot risk not knowing. Again, CCC passed Prop 64 by 60.1% – your neighbors will grow and use. • You may want to consider family pot messaging – it might serve all best to let friends know your marijuana status – are you a “no-pot” family or a “pot-friendly” family. This may start to divide some friendships, but it will keep communities from making serious mistakes with each other and this is the new world California voters want to live in, so best to get on with it. 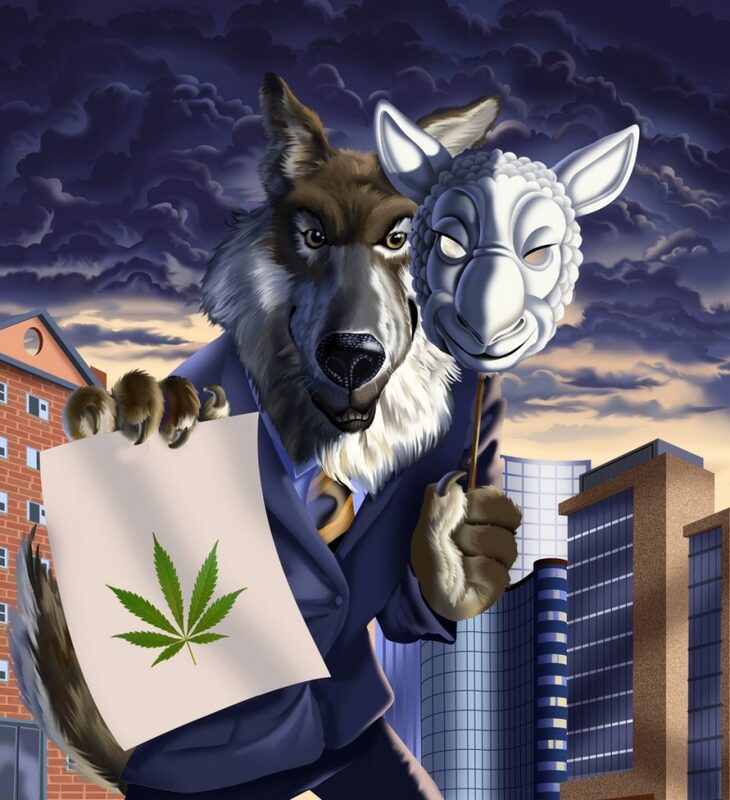 • Big Marijuana will target kids in the same ways Big Tobacco and Alcohol have in the past. Watch youth events for casual marijuana promotion. Youth sports will be a target. Vans handing out marijuana swag were already seen last summer at a big outdoor Lax tournament for 8-18 year old boys. 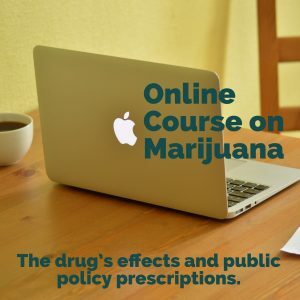 • California primary and secondary “Ed Code” says no drugs on campus, but schools will need to develop strategies as they see the use of marijuana increase among students, increase smelliness among students (big problem in Colorado) and/or an increase of edibles on campus. Prop 64 offers nothing to elementary, middle or high schools – no policy, structure or money. • Eventually, parents will need to demand drug-free education from California colleges and universities. Colorado has failed in this regard. We must find a way or the right partnerships to make this happen, so the investments in our kid’s futures do not become 4 years of being high with negative impact on executive brain function – which is under development at greatest rates 18-25. 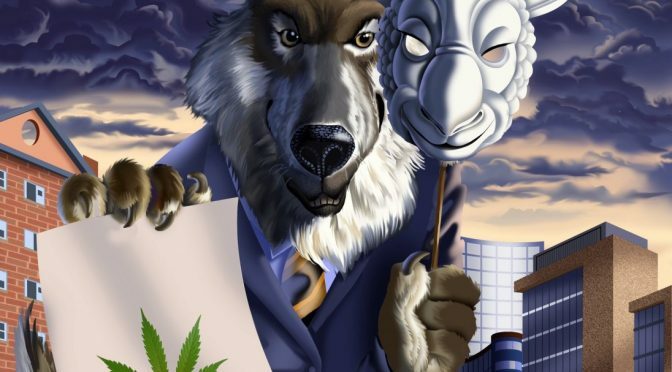 Marijuana.Policy.org created the wolf in sheepskin image. Marijuana advocates say legalization is a social justice issue, when it’s really an opportunity for a few people to cash in on the addiction of others. The pot industry preys on low-income communities in cities like Denver, Sacramento and Los Angeles. Do not assume your city or town will disallow pot shops or other marijuana businesses in your community. Any city that wants to ban marijuana businesses must officially do so within the next year and the sooner the better. If you don’t want pot shops in your downtown, you really have to attend city council meetings when marijuana is on the agenda. Here’s how this works…a) a majority of your neighbors are in favor of commercializing marijuana in our communities. The county I lived in passed Prop 64 by 60.1%, so many from your town are likely to show-up to these meetings extolling what they see as the value of selling, manufacturing or growing pot commercially right here, and b) the marijuana industry is quite adept at fostering local outcry for marijuana, they will send outsiders to every council meeting with marijuana commercialization on its agenda to speak in favor of it. Hopefully, Councils will require addresses of all speakers, so they know who is speaking from inside and outside the city. And, hopefully councils will factor this information into their decision making. But it’s not guaranteed especially if the pro-pot voice is louder than the anti-pot voice. Be careful of homemade foods. A marijuana-infused option will start to become more prevalent everywhere – at home parties, farmers markets, events with food trucks, outdoor tournaments, concerts, etc. Again technically it is illegal to sell to people not carrying a medical marijuana card without a recreational license, but pot edibles are very easy to make and many communities and environments will embrace them now. Seriously, enjoy the last Christmas without an onslaught of pot products being promoted as this year’s hottest gift giving item or best stocking stuffer. There may be some marijuana companies with products available, but given the greater difficulty in selling to non-medical users this year, they are less likely to promote broadly. We will not have another Christmas without a myriad of marijuana gifts. How tragic given how negatively these “gifts” will affect 9-30% of new recipients. Reprinted with permission from a drug prevention activist in California.